Most of us face different challenges every day. Some are trying to solve their issues with their relationships while there are others who are battling their problems with money. 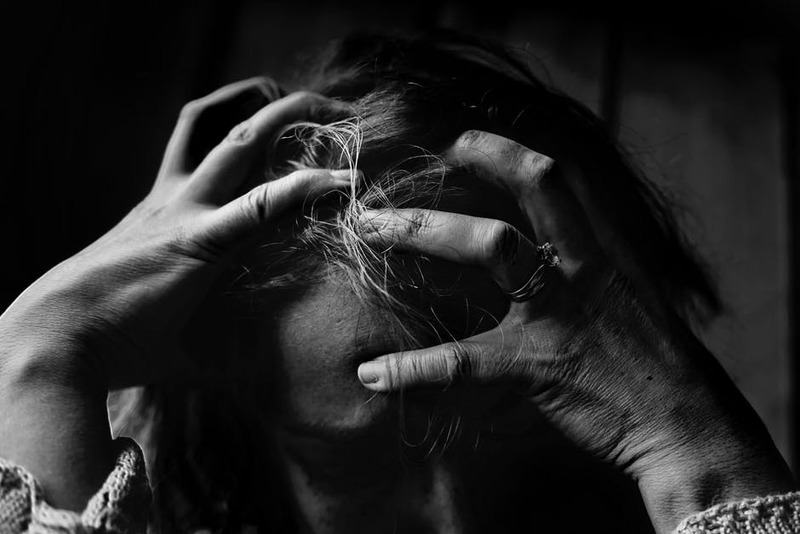 These problems can be easily solved, especially if you have your family on your side. However, what if the problem is a sick family member who is currently confined in a hospital? 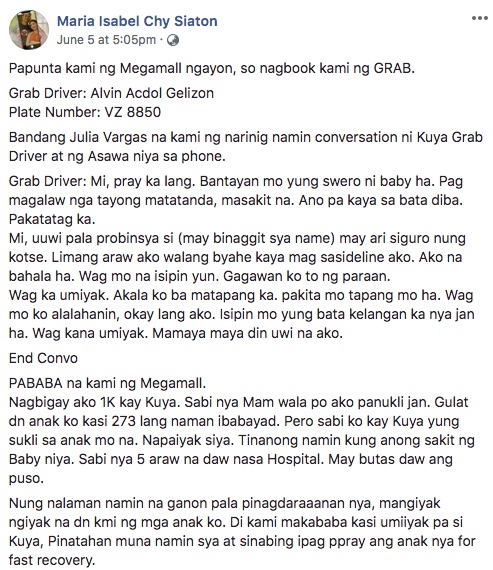 This is the problem that a Grab driver was facing that a passenger overheard. 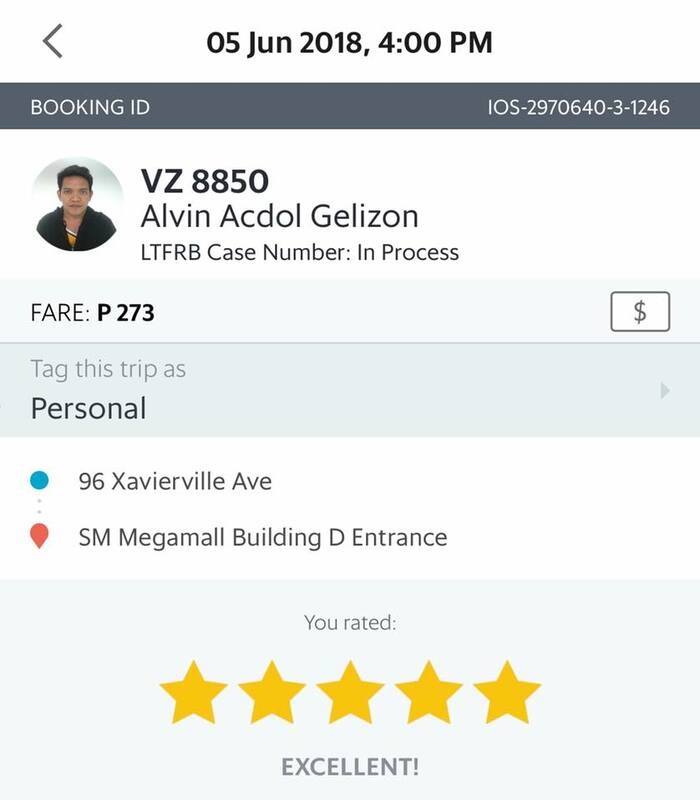 A lot of us are annoyed with the surging prices of ride-sharing apps in the country. 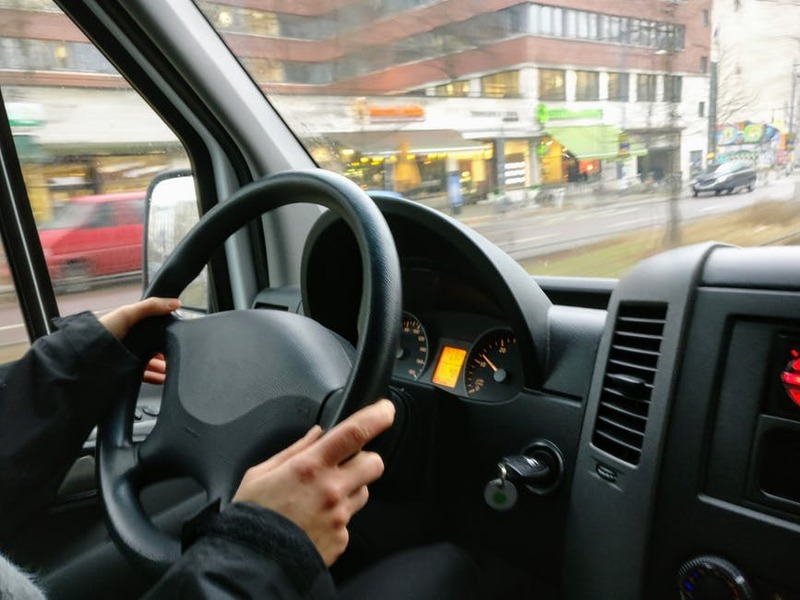 Most riders cannot believe how expensive the fares are for destinations that are not even far. 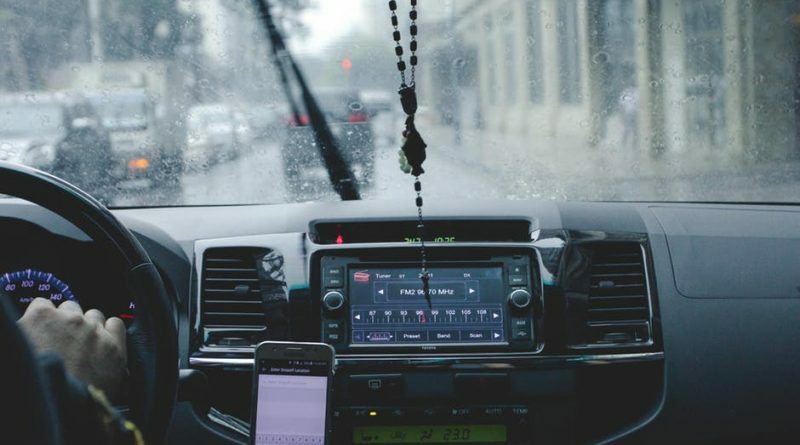 However, for passenger Maria Isabel Siaton, she willingly gave P1,000 to her Grab driver after hearing his heartbreaking conversation with his wife. While they are in Julia Vargas Avenue going to SM Megamall, Maria overheard the driver talking to his wife. It turns out that the man’s child is currently confined in the hospital. The poor child has a hole in his heart. We all know how expensive it can be to have this kind of medical condition. It would take thousands of money to undergo surgery or purchase medication to treat the condition. Sadly, the owner of the car is going out of town and the Grab driver will be left without work for one whole week. 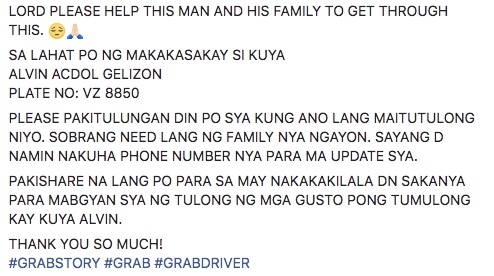 Even in the middle of a fight, the Grab driver still chooses to earn a decent living for his child. While facing a hard situation, he is still pushing his wife to be brave and strong for their child’s welfare. If you have some extra money to spare, let us help Mr. Alvin. We are praying for your child’s speedy recovery, Sir.